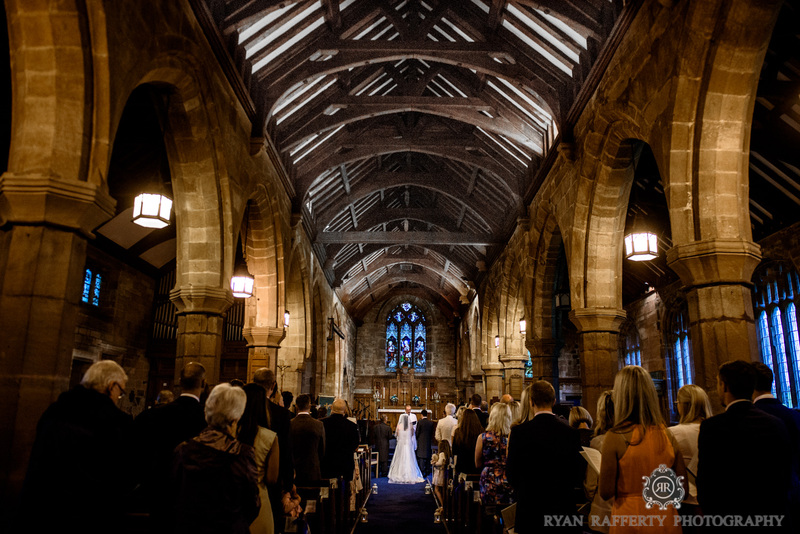 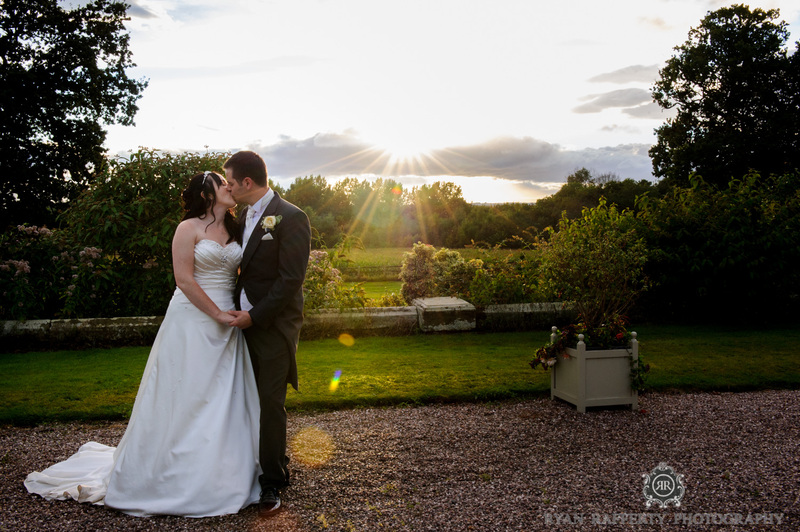 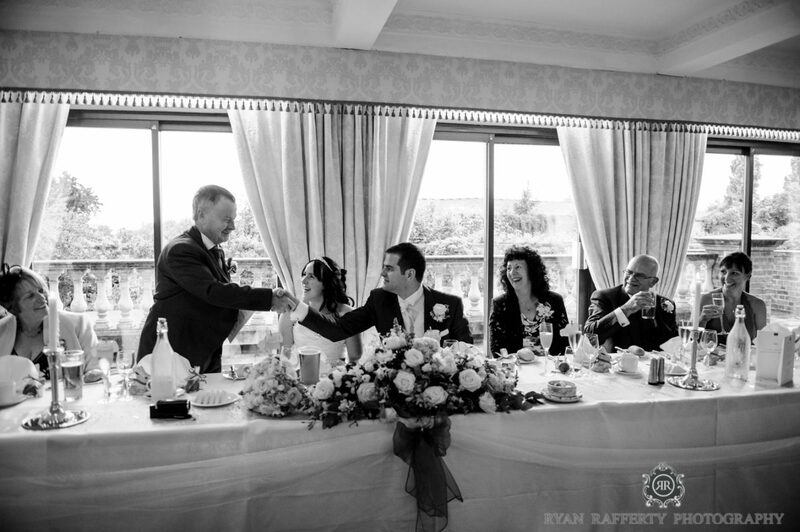 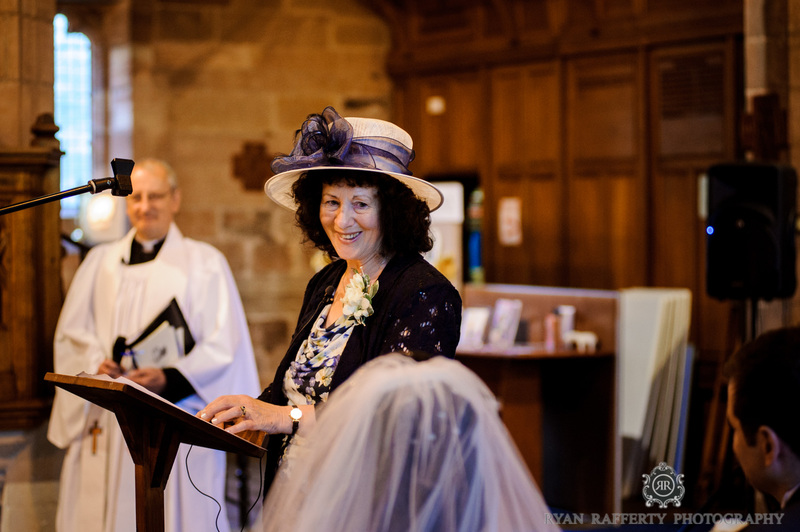 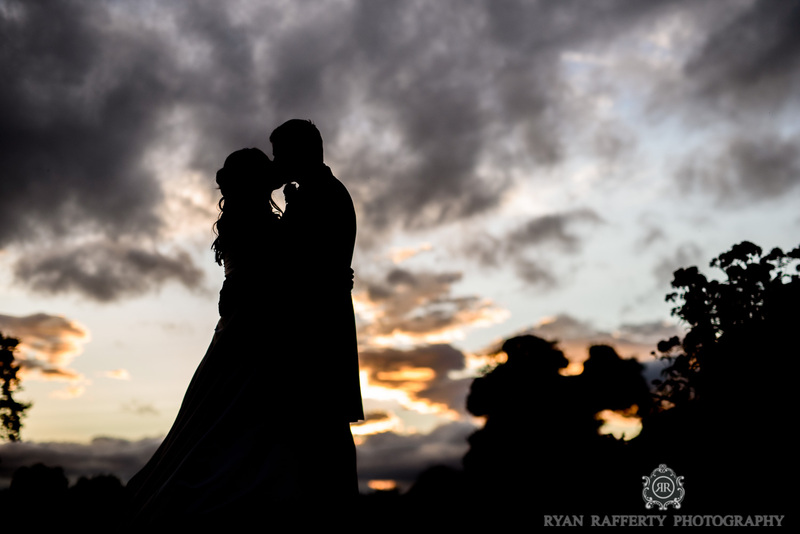 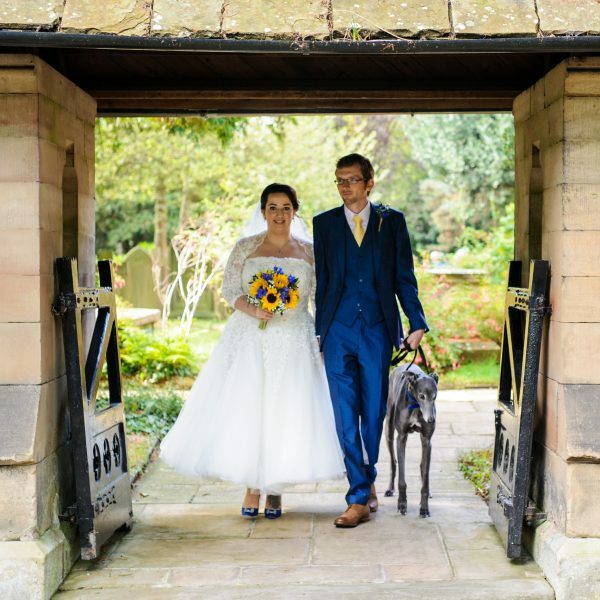 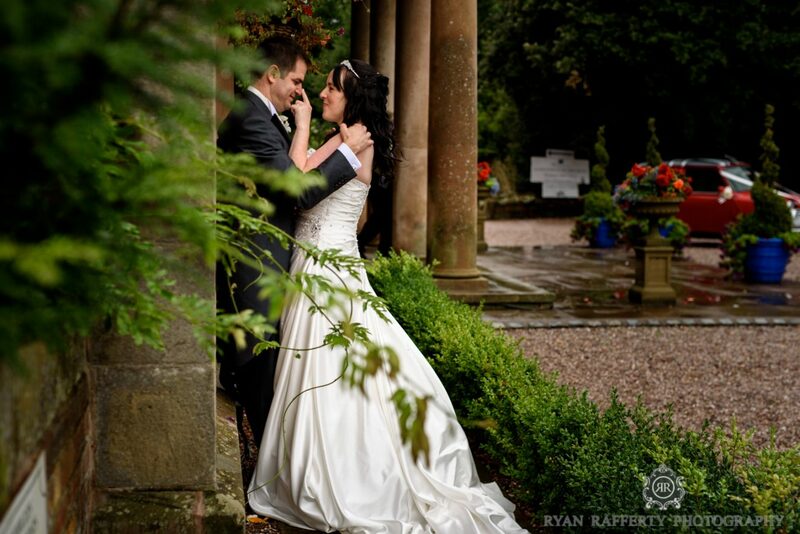 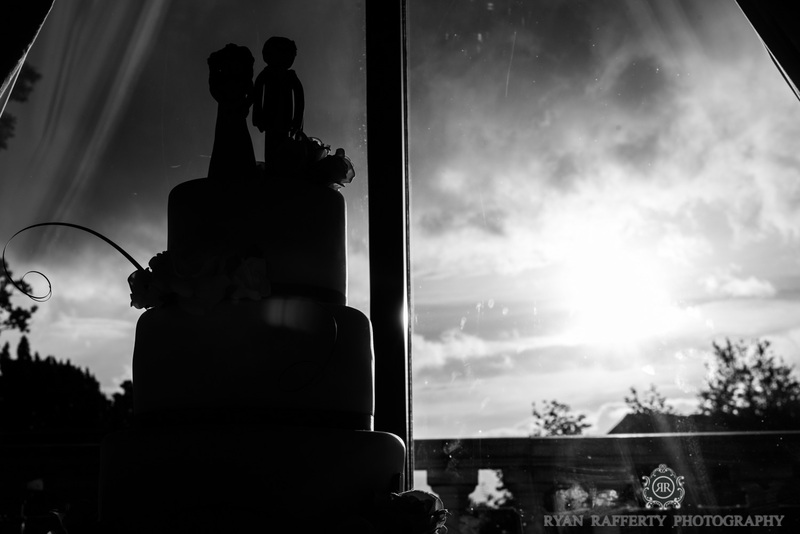 It was another unusually sunny September day in Cheshire on Katie and Ricky’s big day. 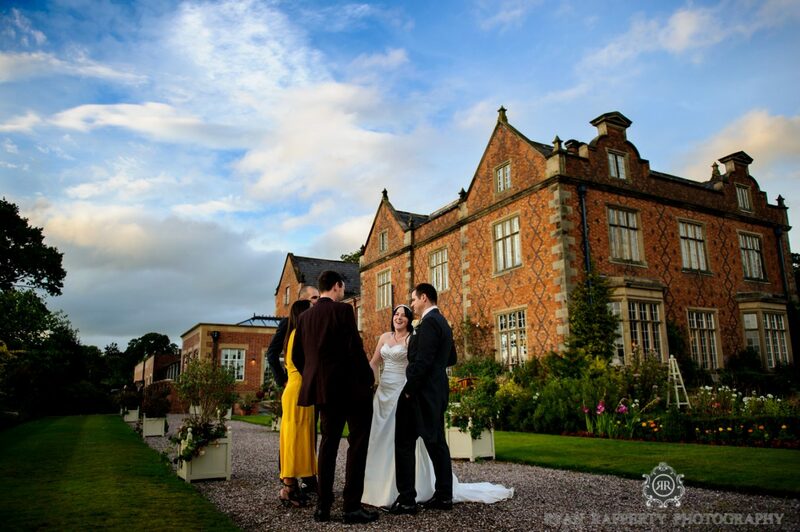 Willington Hall was looking as stunning as ever, despite a smattering of rain in the morning. 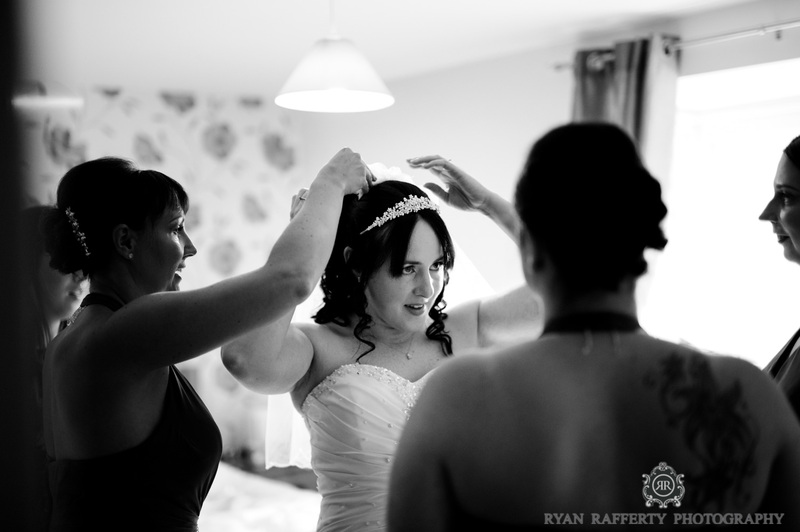 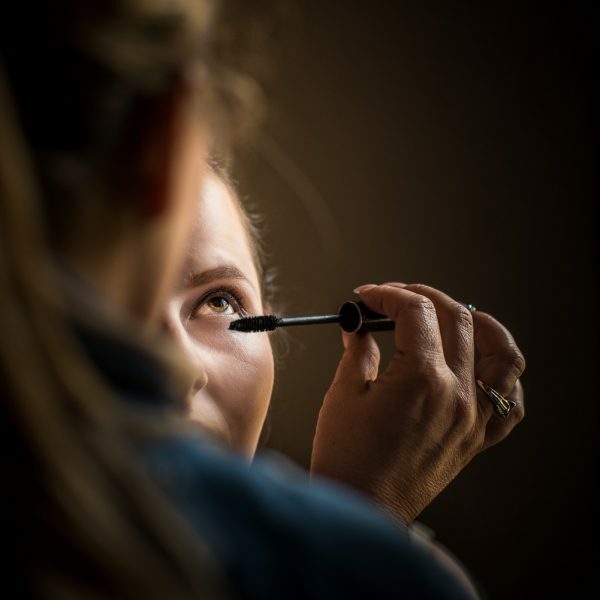 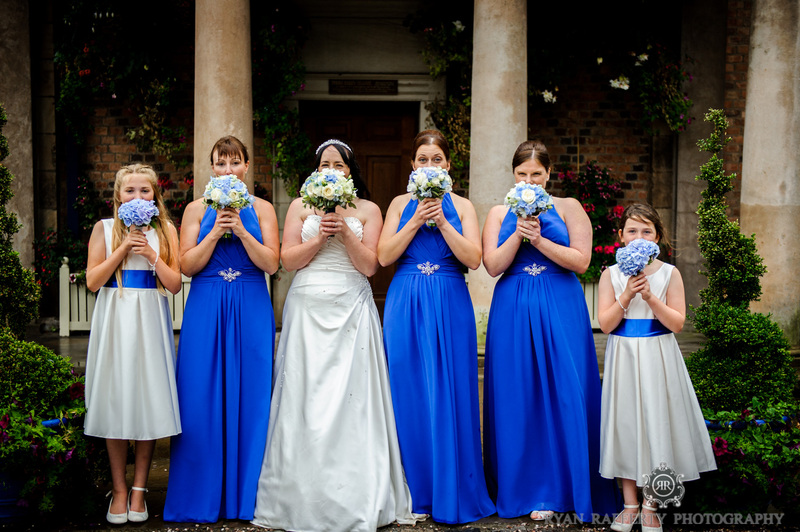 The day began with the bridal preparations at Katie’s house in South Cheshire with her mum and bridesmaids. 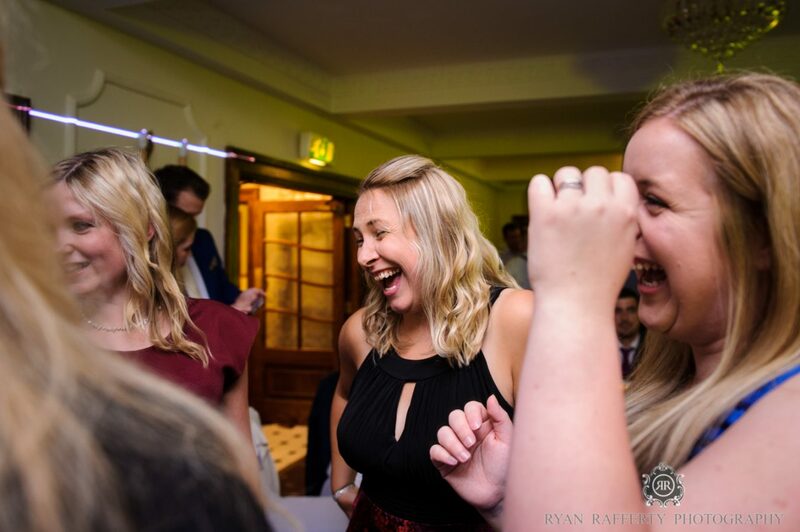 They were always smiling and laughing, which always makes for great photos. 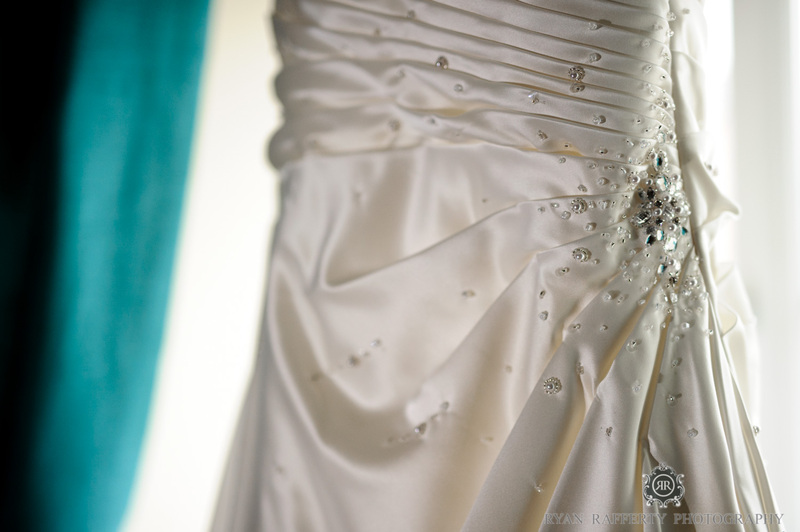 Our bride was full of beans and excited for the big day to begin. 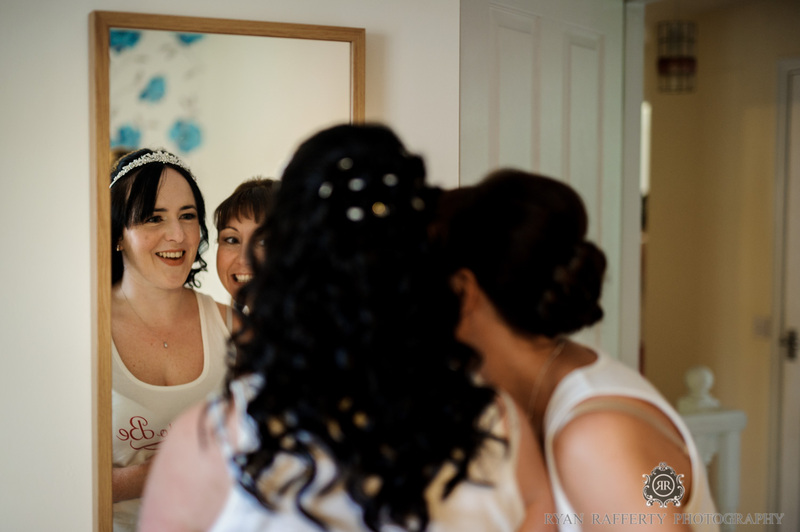 There was not a hint of nervousness at all and she soon got used to the camera. 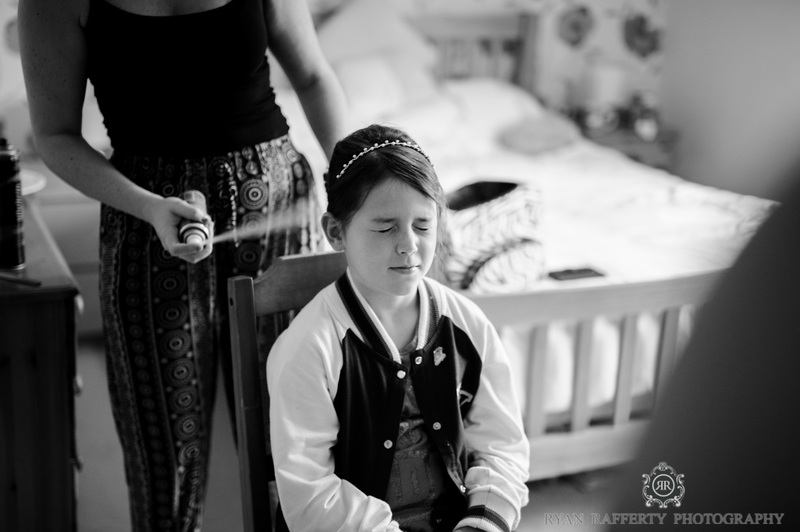 It’s always great when I’m able to capture photos of the bridal preparations. 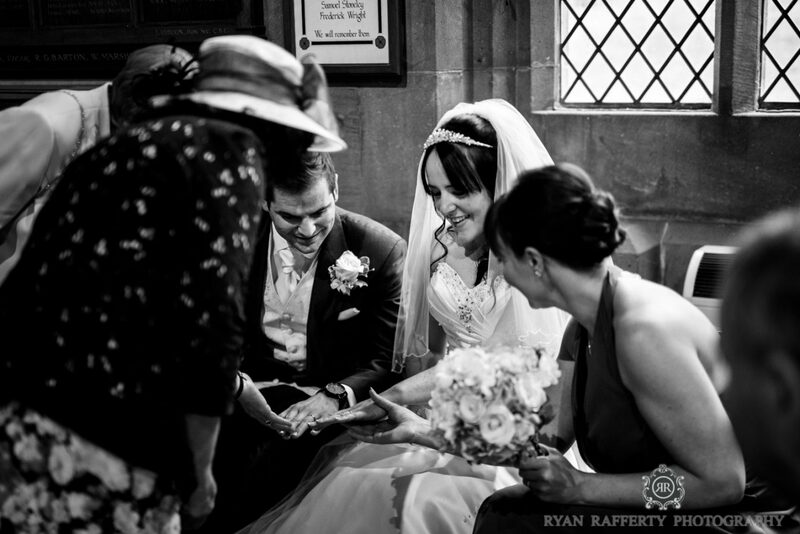 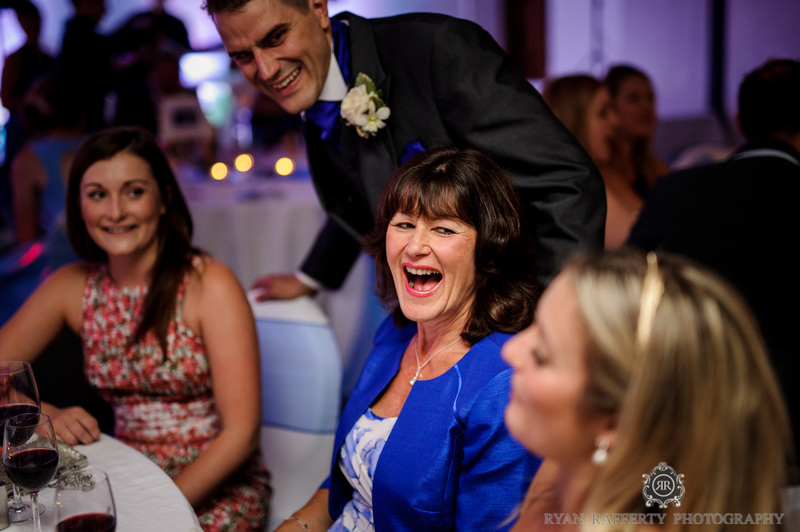 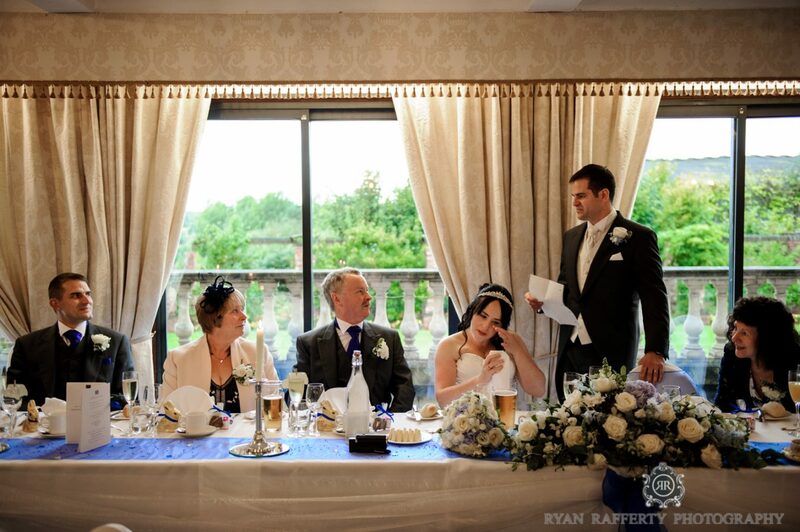 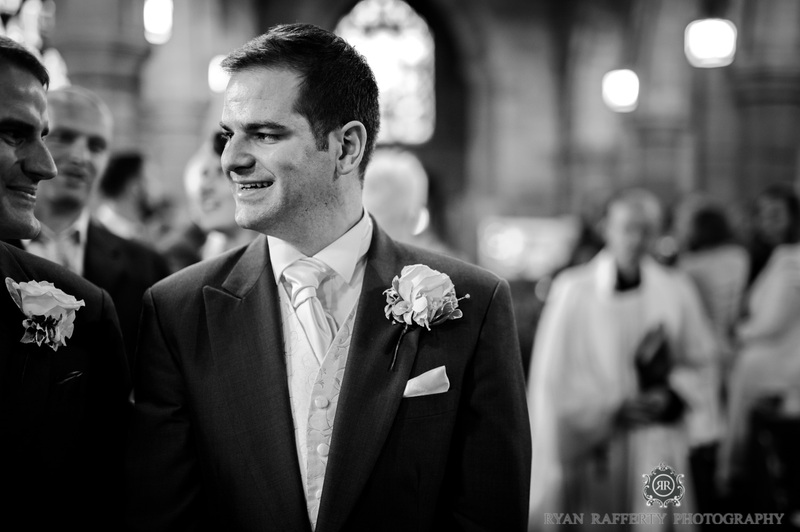 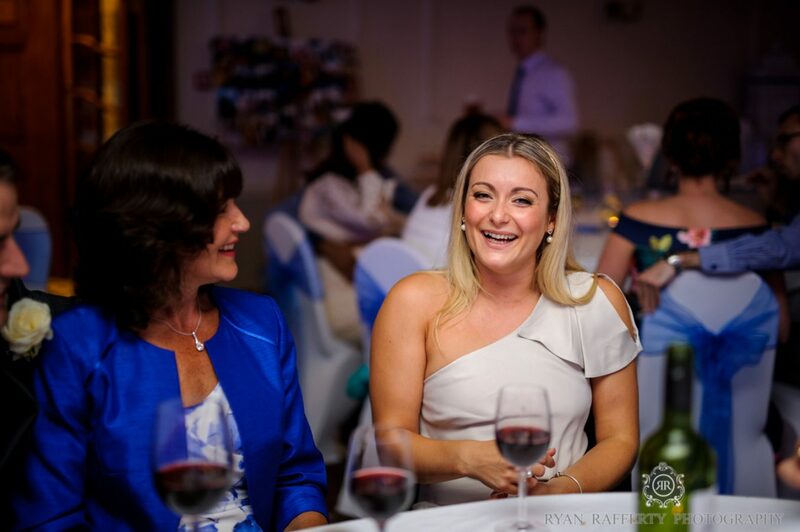 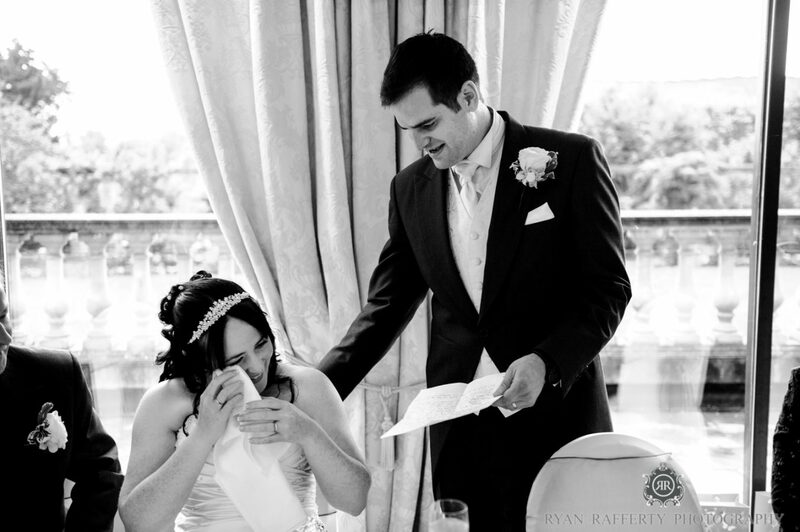 As well as creating beautiful memories, it also helps everyone to get used to me before the ceremony. 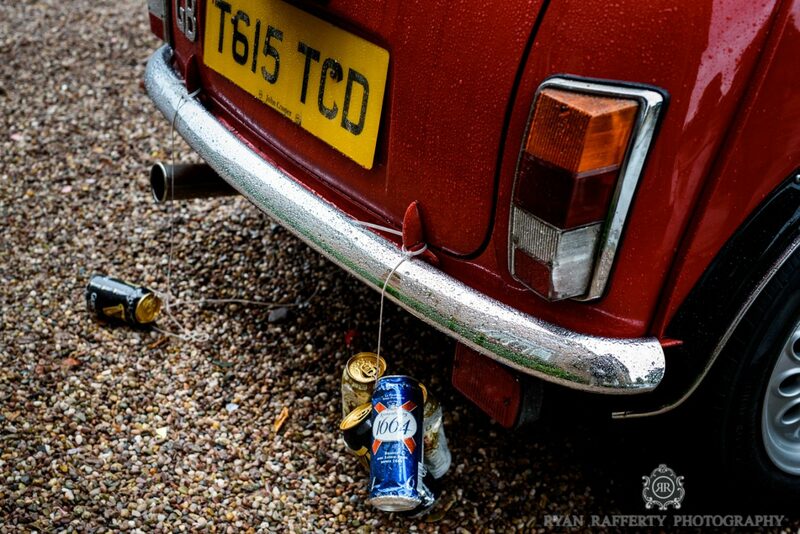 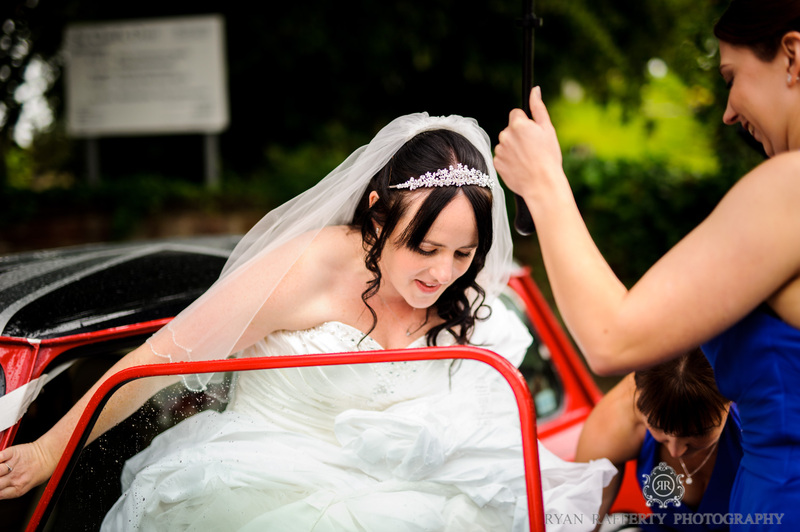 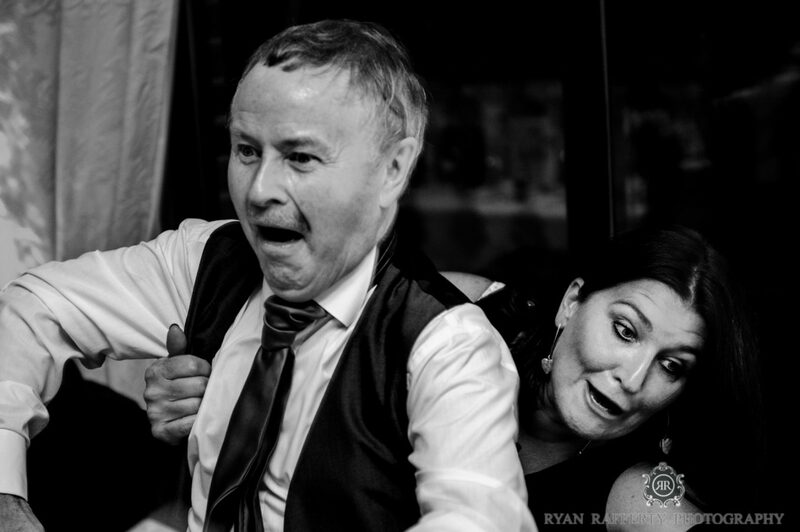 Katie and Ricky’s love of cars was immediately apparent in their choice of wedding car. 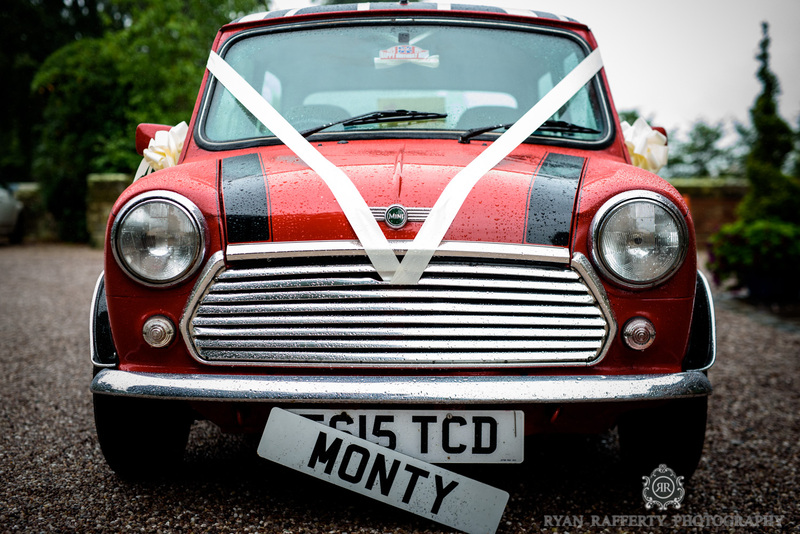 It was a beautiful red classic mini called Monty, which they had bought and restored together. 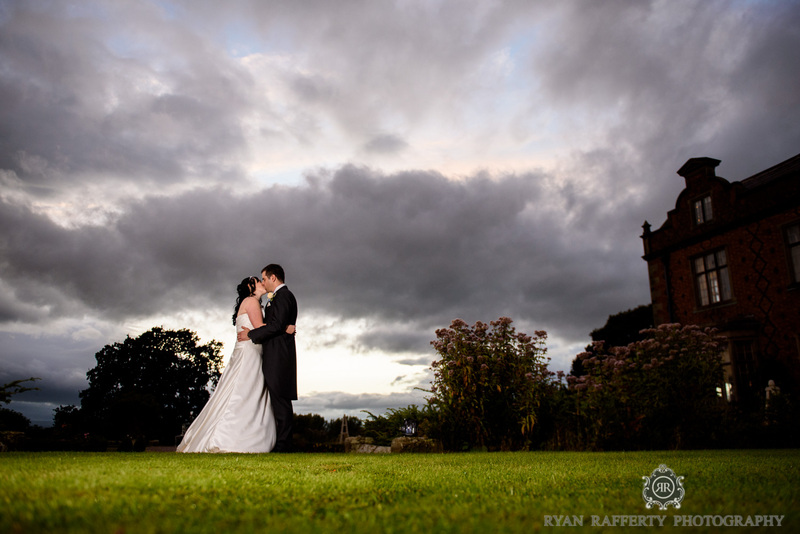 There was a spot of rain in the morning and Monty was covered with a fine dew which made for excellent photographs. 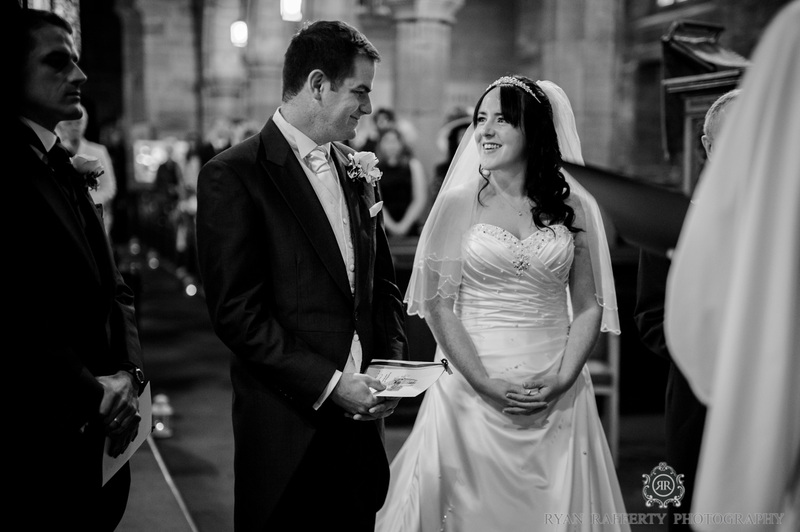 Katie arrived at the church a little later than expected and so the nerves were high at the altar! 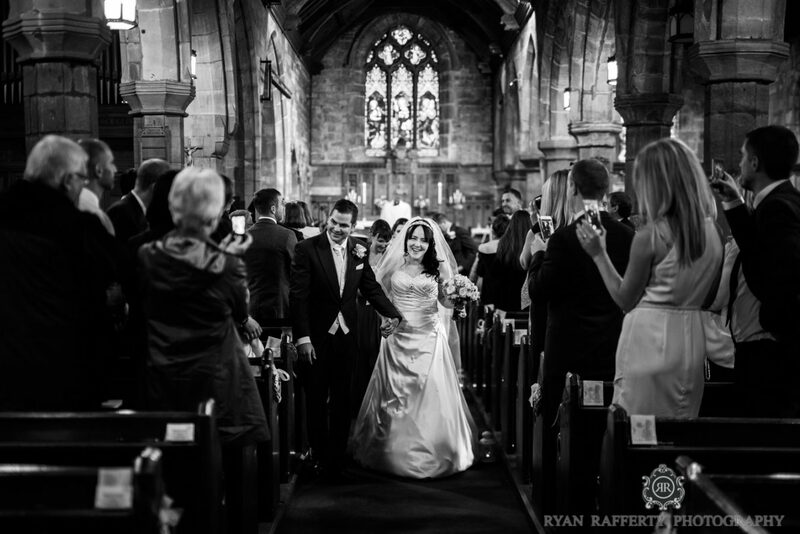 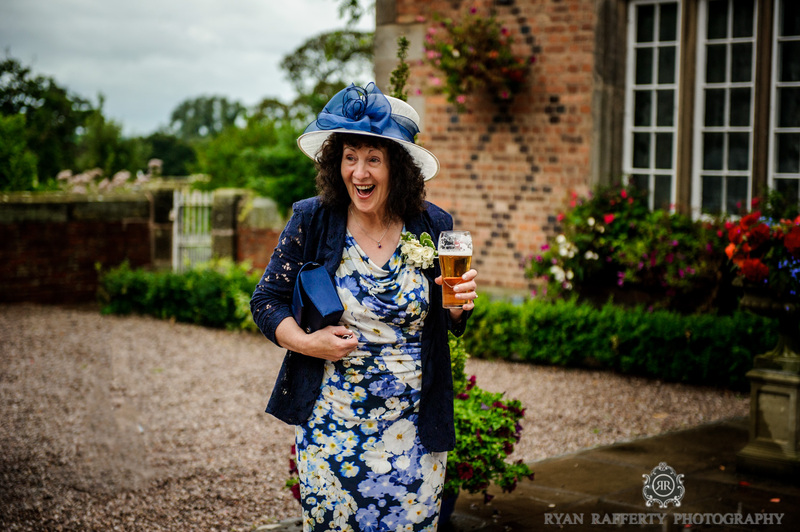 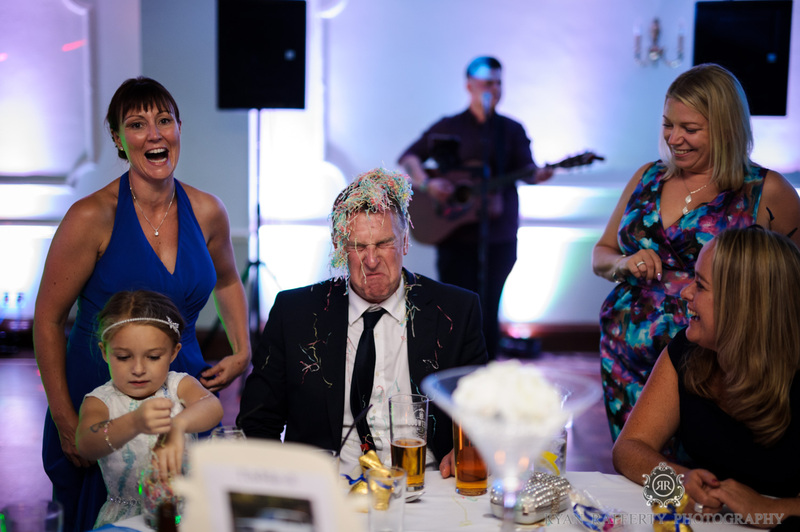 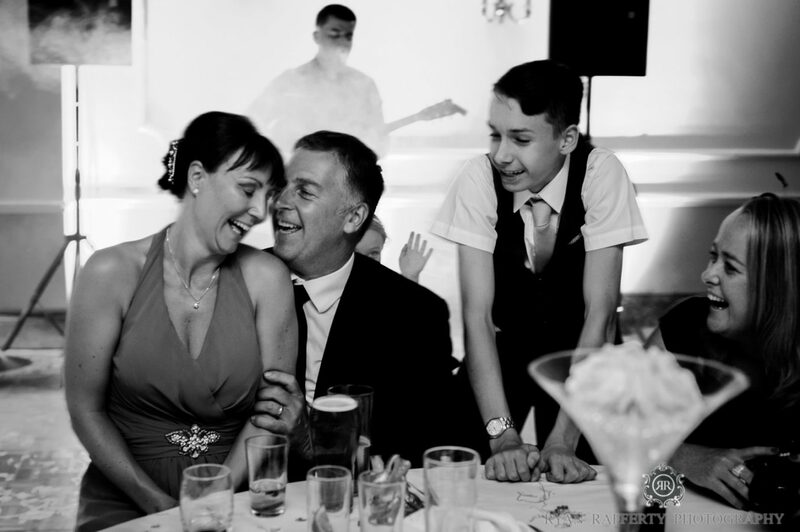 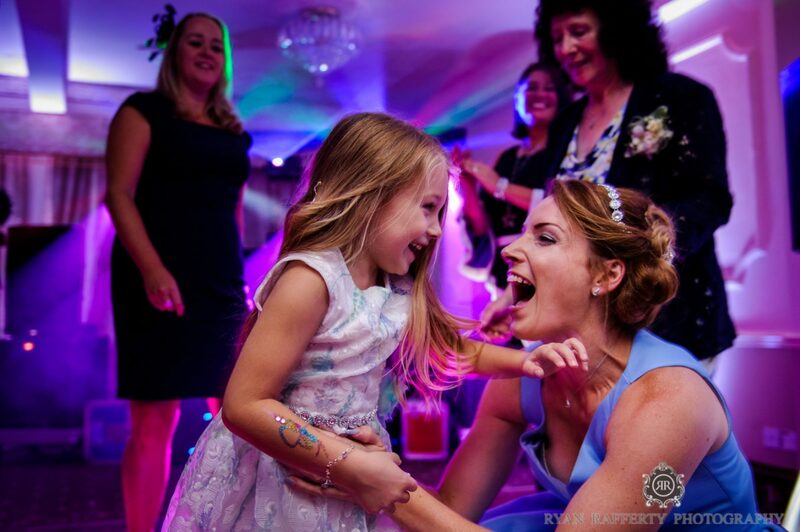 As her father walked her down the aisle, Ricky couldn’t keep the smile off his face when he saw her in her gorgeous dress, by A Day to Remember in Chester. 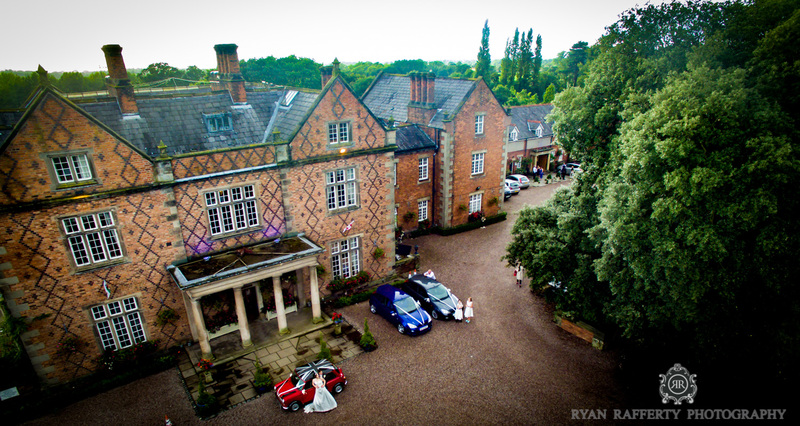 Following the ceremony, we all headed off to Willington hall, where the fantastic staff warmly welcomed us with a drinks reception (they really are amazing at this venue). 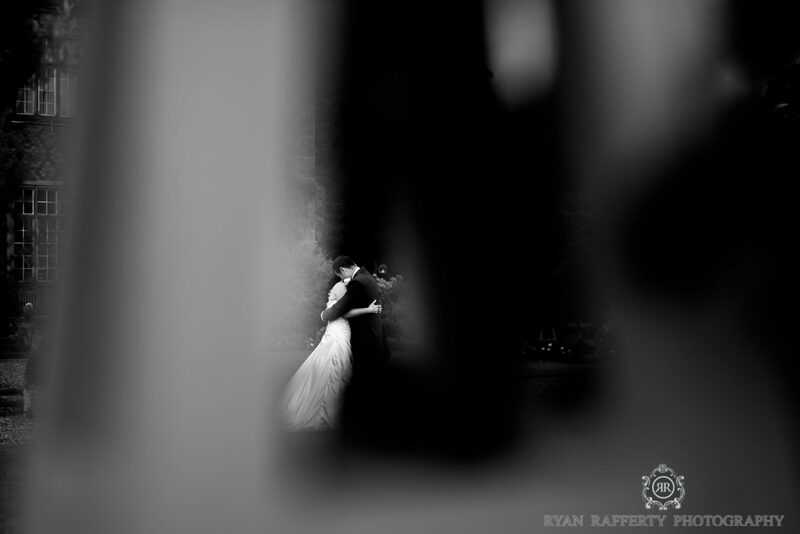 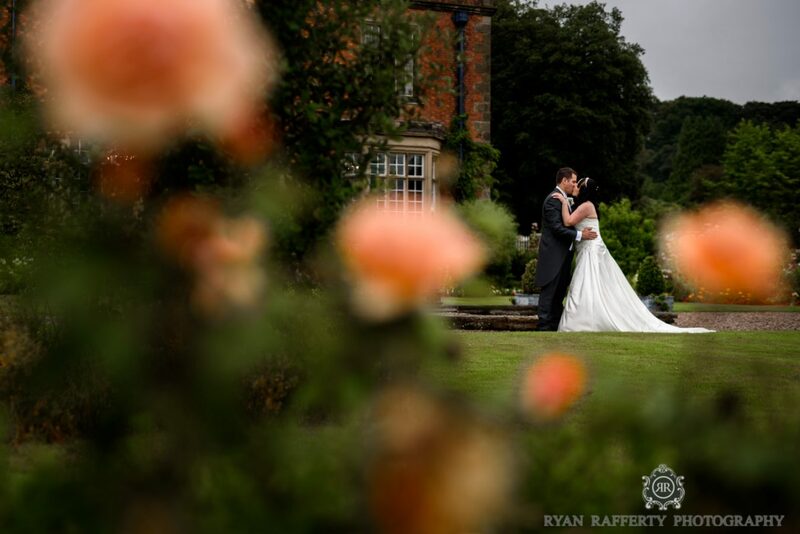 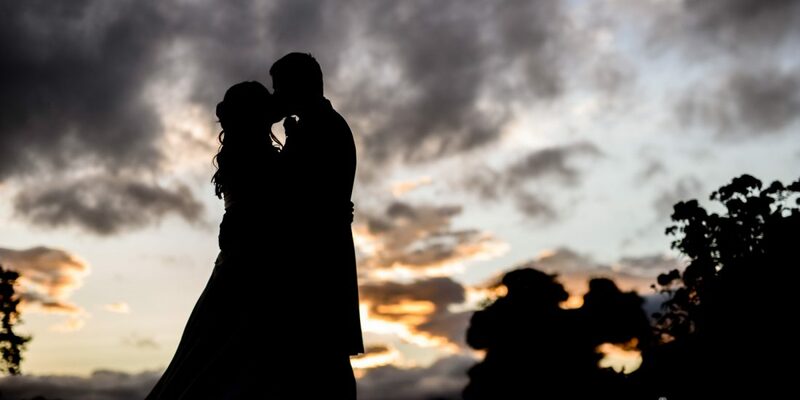 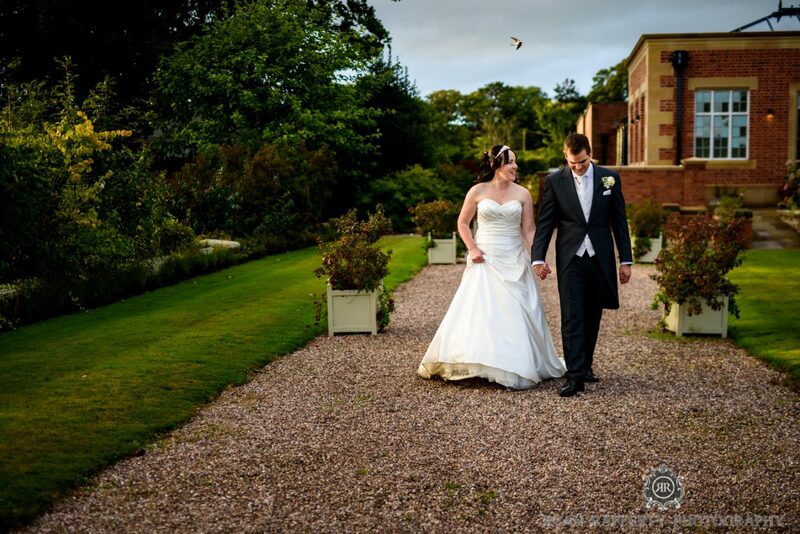 Following the group shots, I took the happy couple out for a walk around Willington hall’s stunning grounds. I asked the newlyweds to relax and forget I was there, while I photographed them from a distance. 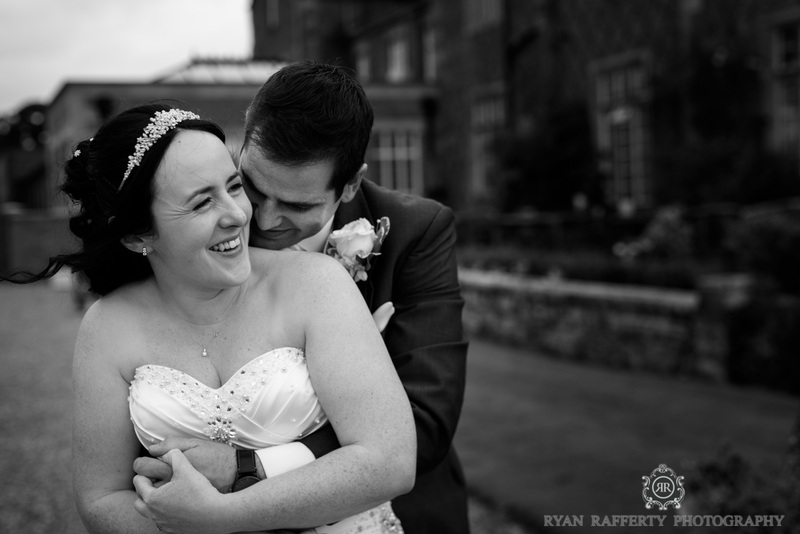 I always try to make couples feel relaxed during the bridal portrait session – real moments cannot be posed or staged. 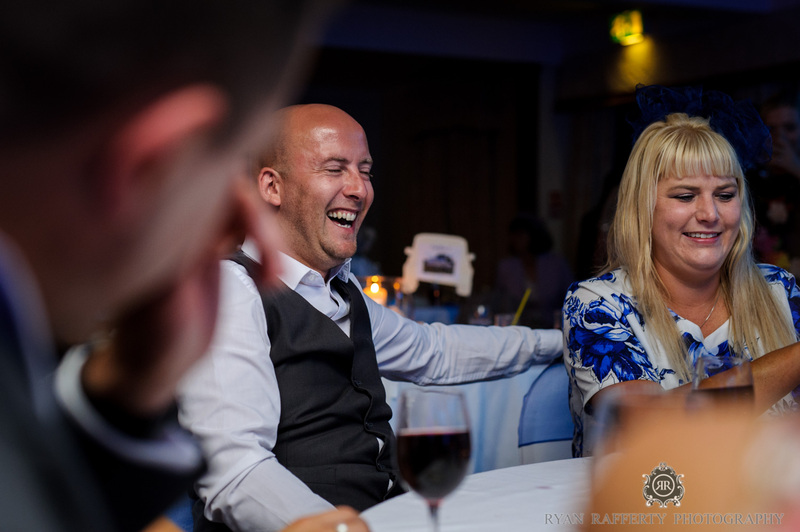 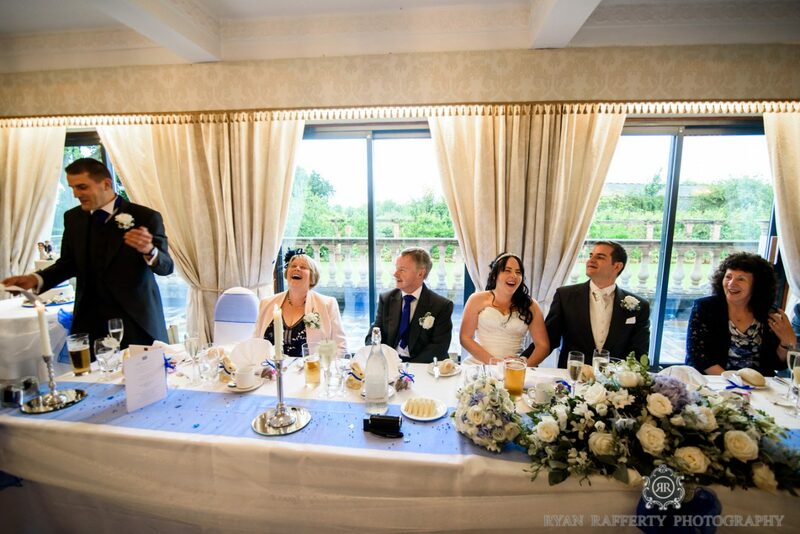 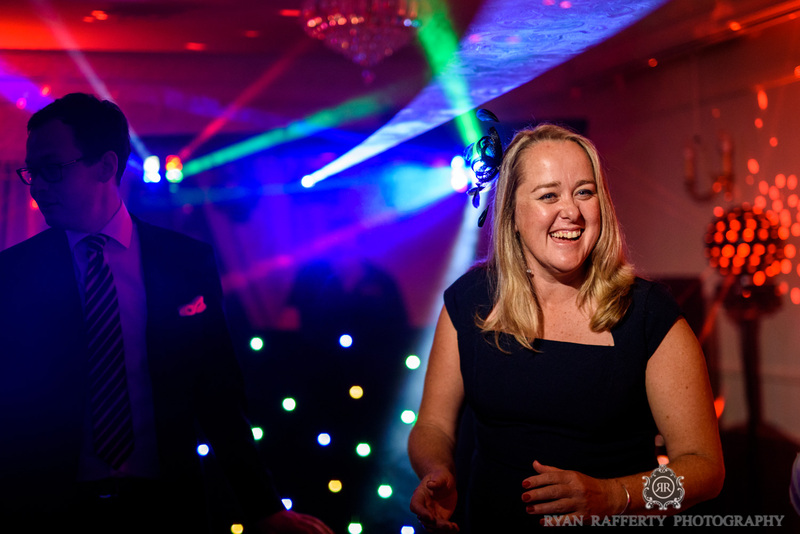 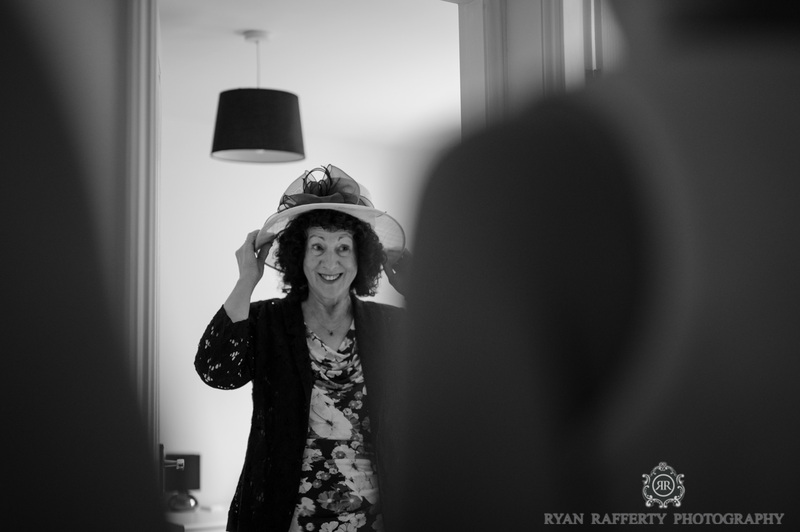 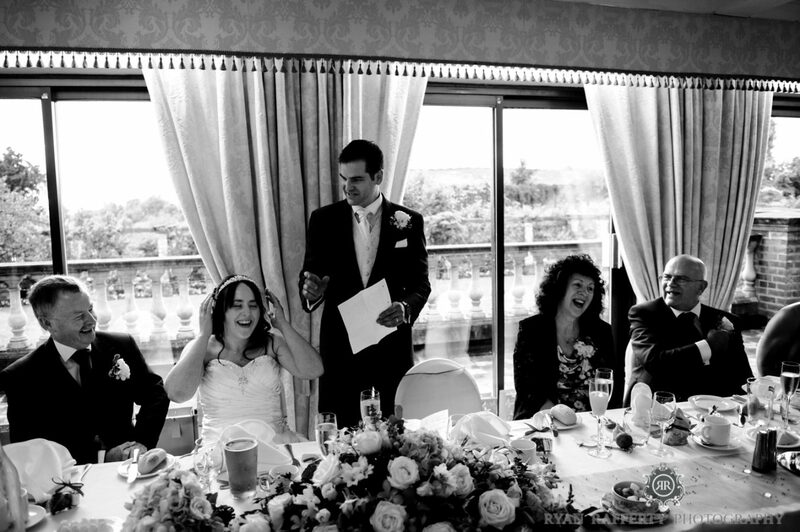 After I’d captured some hilarious speeches at the wedding breakfast, photographed the cutting of the cake and the first dance, the guests were surprised by an unscheduled fire alarm. The staff assured us was not a drill! 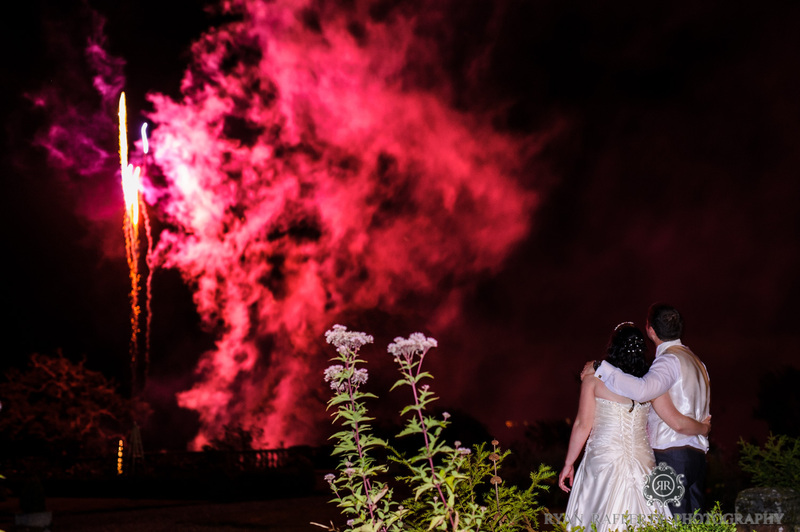 The staff ushered the guests out to the gardens where they soon realised that the alarm was a rouse to get us outside for what was a spectacular fireworks session, laid on by Nemisis Pyrotechnics. 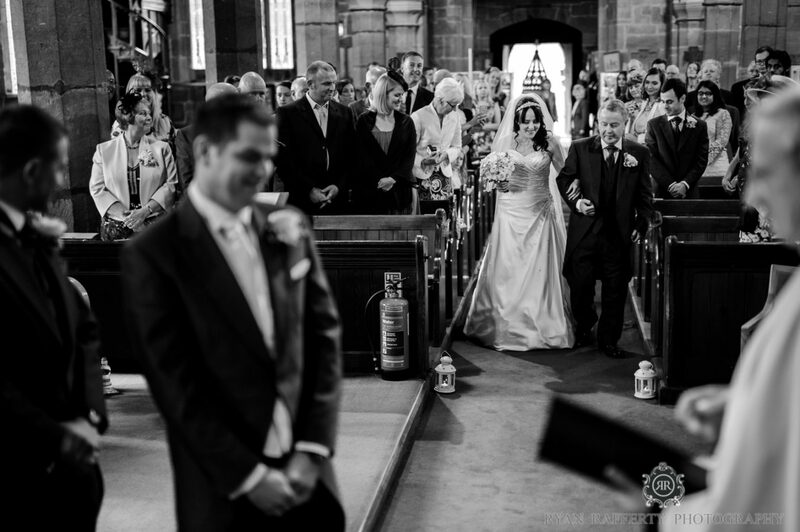 I was so glad I had not “left my personal belongings behind” and took both my cameras with me! 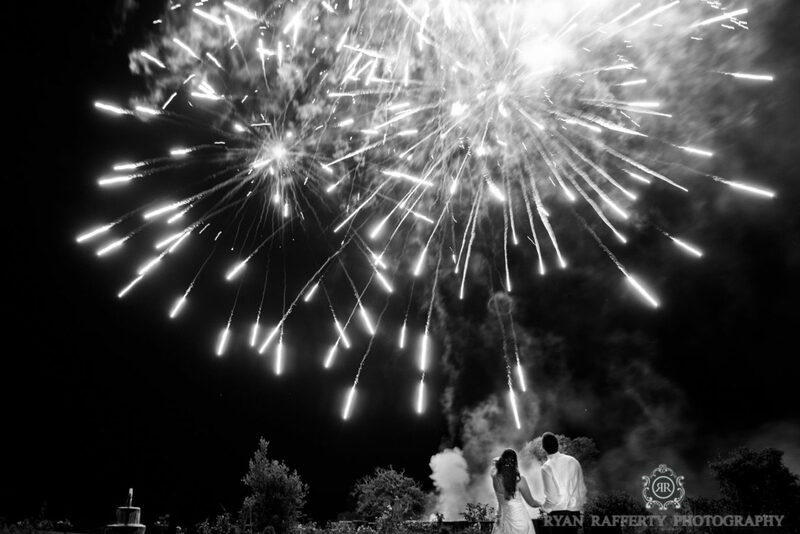 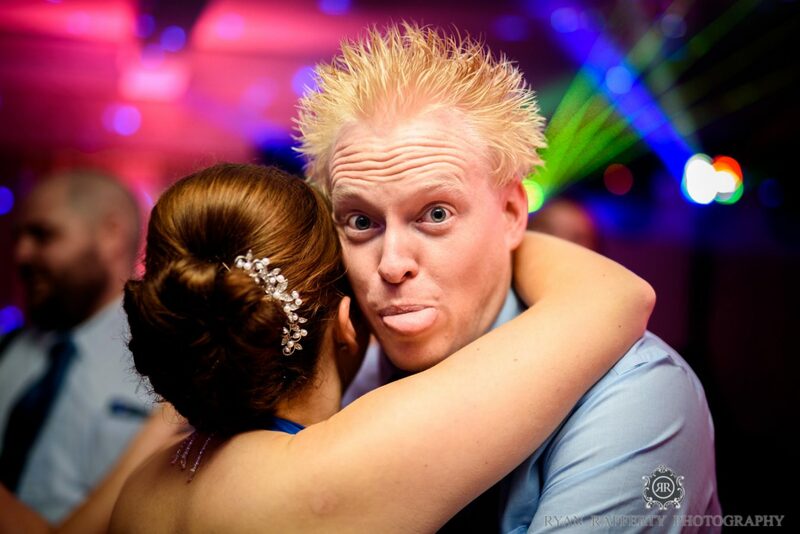 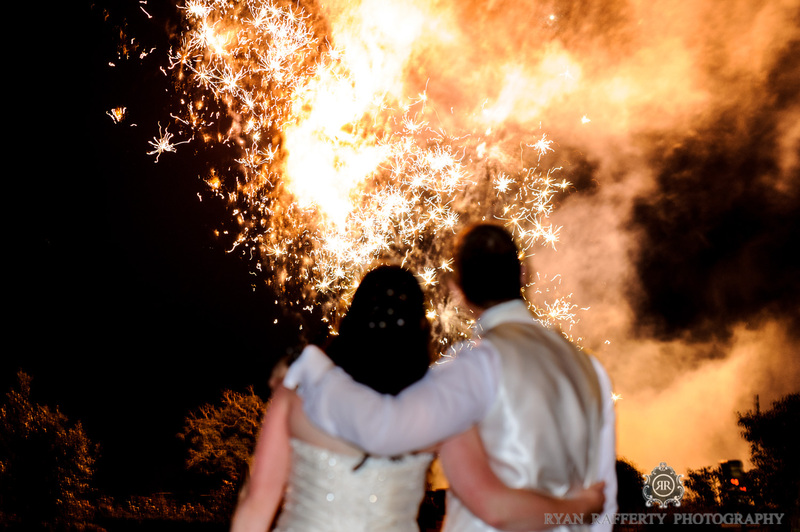 The shots of the fireworks put the perfect end to this collection of Willington hall wedding photographs. 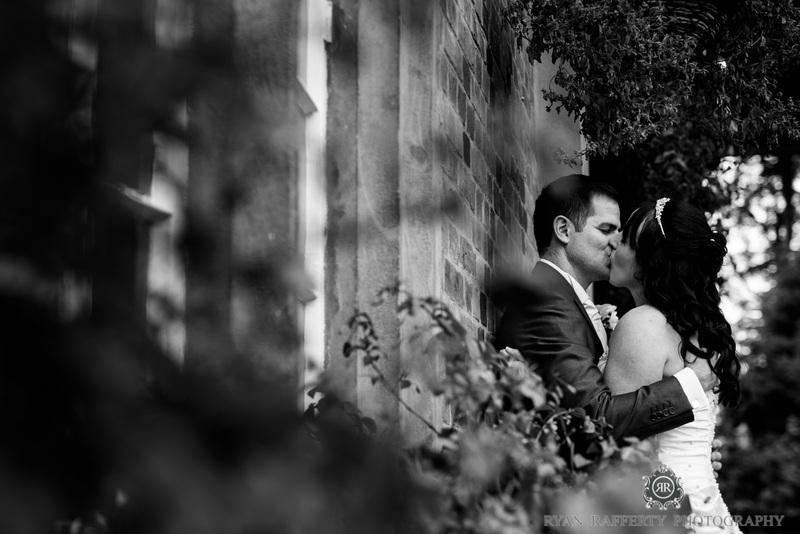 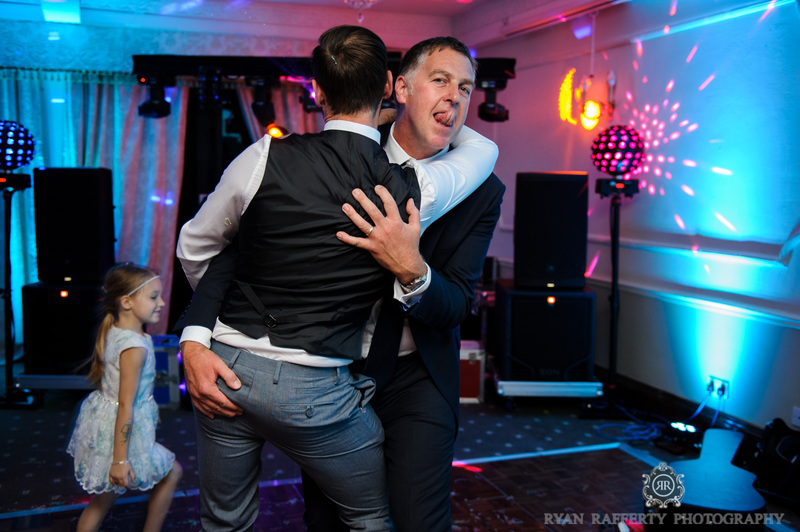 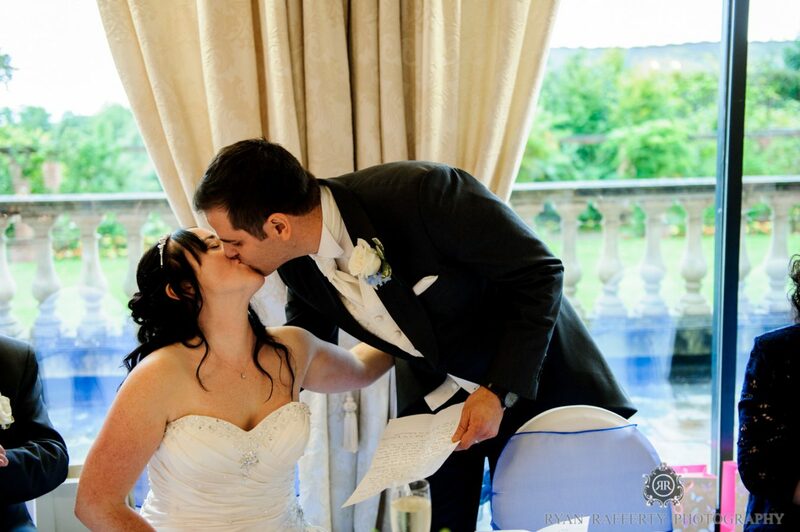 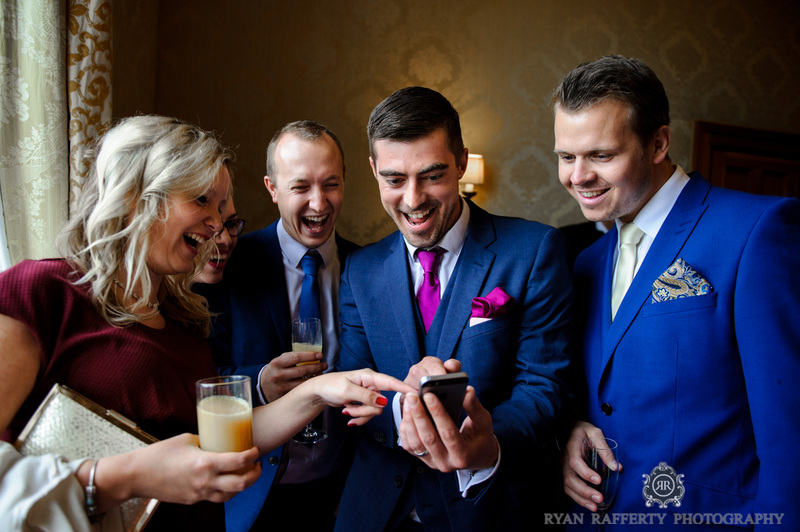 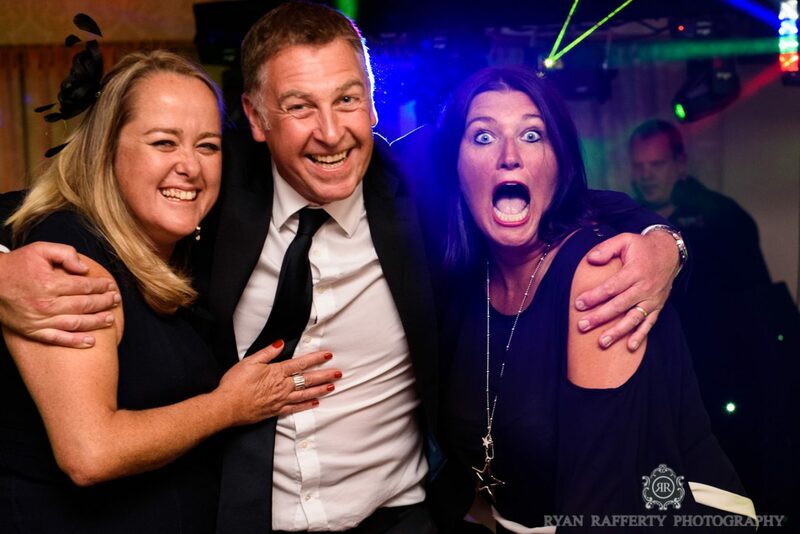 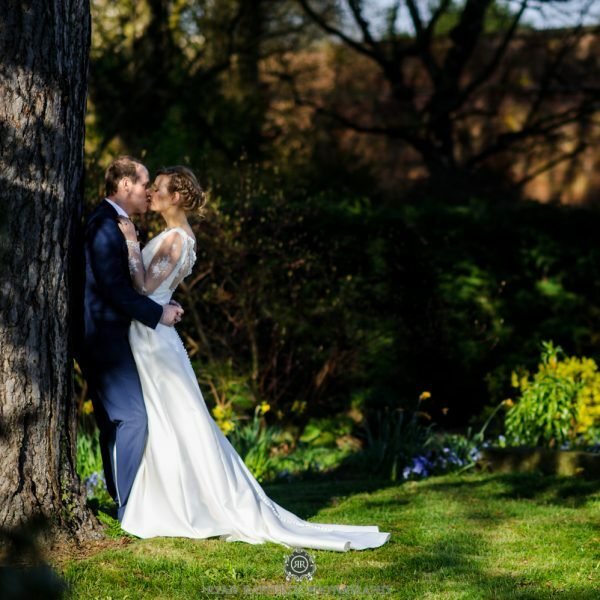 If you are thinking about having your wedding at Willington hall and you like the photographs you see here, then please do consider getting in touch.